FISH of Galesburg is an emergency food pantry which has been helping to feed the hungry of Knox County since 1970. The mission of FISH is to provide food for those in need. FISH focuses on providing emergency food relief for hunger. It is our hope that the food made available to those in need will result in better health and quality of life. 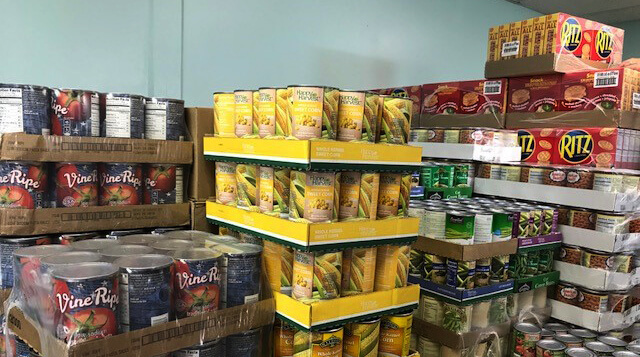 Food items distributed include non-perishable and frozen foods as well as vouchers for milk and eggs to individuals and families who contact the pantry for assistance. Calls for food assistance come to FISH through a telephone answering service. These calls are then relayed to pantry volunteers Monday through Friday between the hours of 10:00 AM and 3:00 PM. A volunteer from the pantry will return the call and ask a few necessary questions in order to determine the size of the family for whom assistance is being requested. FISH seeks to provide enough food to support an individual or family for a three-to-four-day period of time. Persons contacting the pantry may receive food assistance once every thirty (30) days. FISH depends on the donation of nonperishable food items as well as monetary donations from individuals, churches, local civic organizations, and businesses. All FISH workers are volunteers. There is minimal administrative expense. On average, 94% of funds expended are used to feed the hungry.